Get one step ahead of the competition in your legal career. Top up your existing legal qualifications to a full Master’s degree. *Only the distance learning route will be suitable for international students. Flexible study – choose from the accelerated, part-time or distance learning routes to study in a way that suits you. Hong Kong University collaboration – we’ve been working together for over 20 years to give the programme an international perspective. Our tutors also regularly travel to Hong Kong to deliver lectures. Legal experts – our team consists of academic specialists and practising professionals. They’re leading authorities in areas such as equality law, medical ethics and human rights. A legal hub – study in the second largest legal centre in the UK. Manchester is home to well-respected law firms and at the heart of the North Circuit of the Bar. 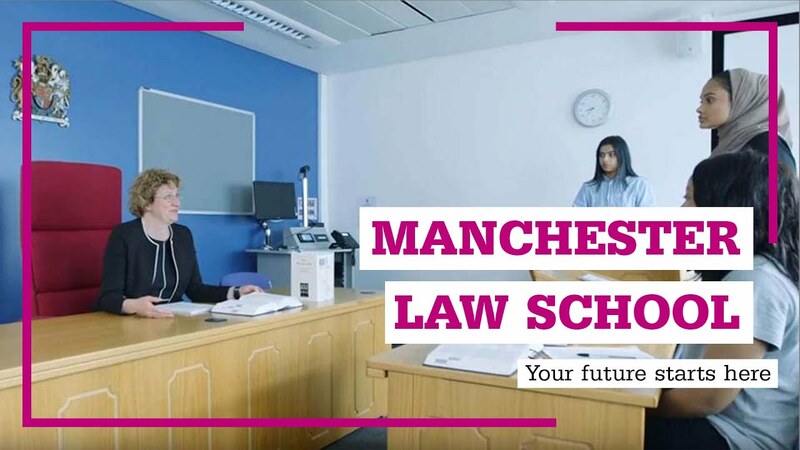 Specialist legal facilities –takeadvantage of the excellent facilities at our Law School, including its legal libraries and study zones and mock court room. Study to suit you –remote study fits in around your life. Study from anywhere and access all our resources online, as well as having regular contact with your tutors. Professional links – we have close ties to national and international law firms. We work particularly closely with the Northern Circuit and can help you make valuable professional contacts. New career prospects – use this course as a stepping stone into a new area of law, or enhance your career options by gaining more in-depth knowledge in your current specialism. The LLM is an excellent addition to your CV. It can complement your existing legal qualifications by allowing you to gain specialist legal knowledge. Use it to enhance your career prospects with your existing employer. Your research project could explore an area of law that your firm is interested in pursuing. Or it could open doors to new opportunities all over the world. It shows prospective employers that you’re committed to the legal field and understand the value of continuing professional development. It’s also an opportunity to explore an academic career route. This top-up degree is the perfect stepping stone from practice to research. It will prepare you for PhD research and could lead to roles in academia. Our team have excellent connections to law firms in Manchester, the UK and around the world. Take advantage of our network to develop new professional relationships while you’re studying. Progress. Expertise. In-depth understanding. Even for qualified, practising professionals, there’s room for more of all three. Our LLM in Legal Practice can provide it, helping you to achieve a full masters qualification – and the next step in your career. It’s a flexible course, not just in terms of what you could study, but also in how you go about it. We know that many of our students are working professionals, so while we offer our 1-year accelerated programme, we also offer a 2-year part-time option. You can even complete the course via distance learning* – completing your masters from wherever you live around the world. Unlike some courses, with a programme of set units, the LLM in Legal Practice gets straight to the point. We’ll help you develop your research skills and methods, but then it’s up to you. You’ll pick an area of practical law that’s right for you – with the guidance of your tutors – then conduct your own research to explore the subject in depth. Whether it’s a topic that’s relevant for your current job or a new area that you want to move into, it’s a chance to build the kind of in-depth understanding that can give your career a boost. You’ll produce a 15,000-word dissertation or research-project, giving you a professionally-relevant body of work. Throughout the process, you’ll have the support of our expert teaching team, delivered in person, over the phone or email, or online for our distance-learning students. By the end, you’ll have the in-depth, expert knowledge to build on your previous qualifications and achieve a full masters degree – a springboard for your career in law. Instead of studying a list of units, this course includes only a Dissertation or Research Project. While you’ll spend some time learning about research methods, the topic is up to you – with the approval of the programme team. You’ll put together a research proposal, which is assessed, then carry out your research. UK and EU students: Part-time fee: £771 per 15 credits studied per year. Tuition fees will remain the same for each year of your course providing you complete it in the normal timeframe (no repeat years or breaks in study). UK and EU students: Distance learning fee: £3,084 studied per year. Tuition fees will remain the same for each year of your course providing you complete it in the normal timeframe (no repeat years or breaks in study). Non-EU international and Channel Island students: Part-time fee: £771 per 15 credits studied per year. Tuition fees will remain the same for each year of your course providing you complete it in the normal timeframe (no repeat years or breaks in study). Non-EU international and Channel Island students: Distance learning fee: £4,271 studied per year. Tuition fees will remain the same for each year of your course providing you complete it in the normal timeframe (no repeat years or breaks in study).